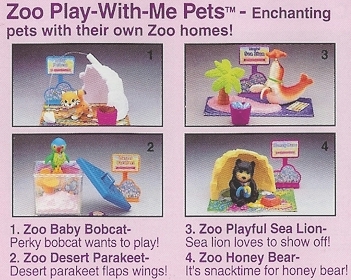 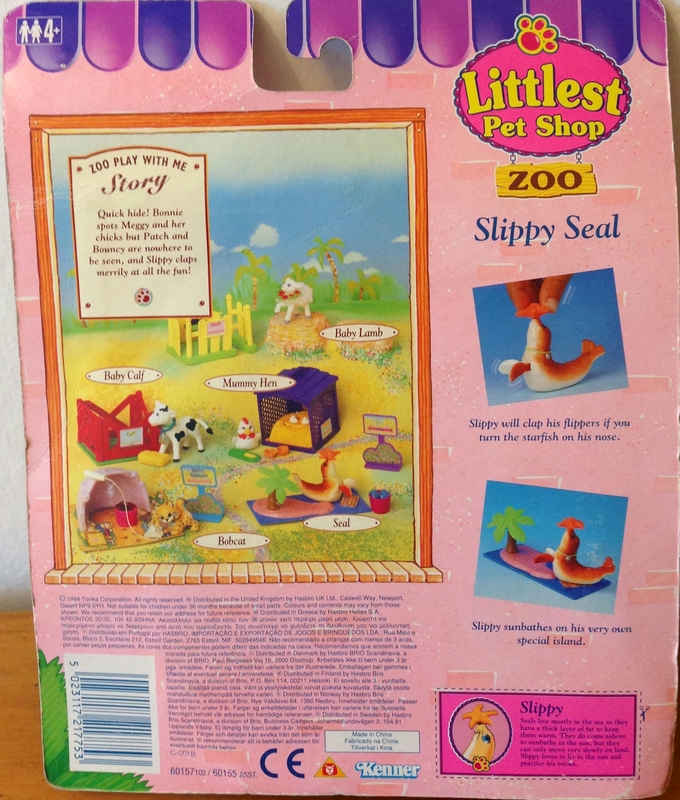 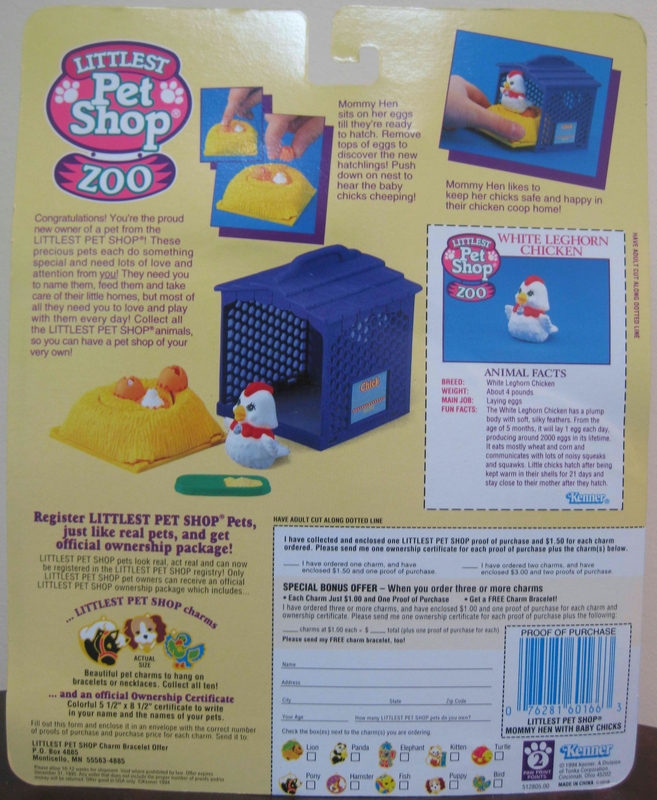 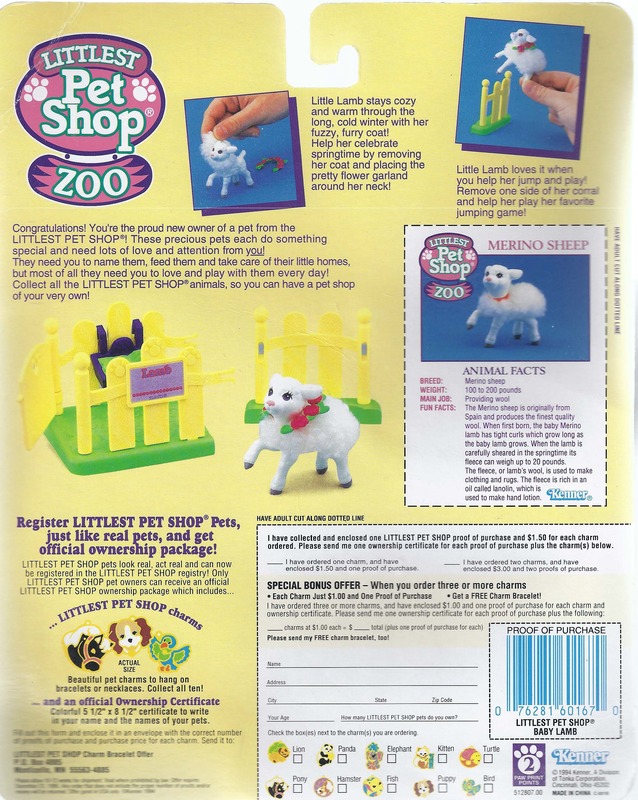 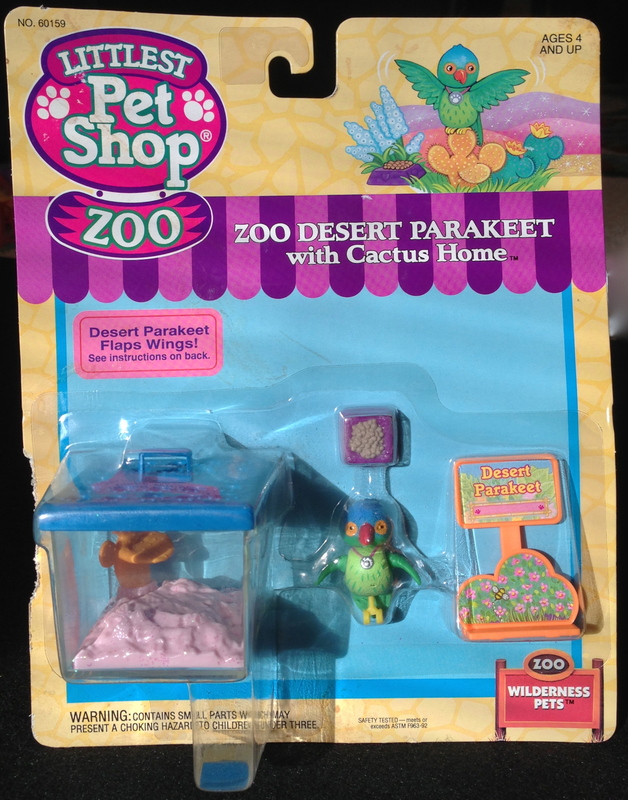 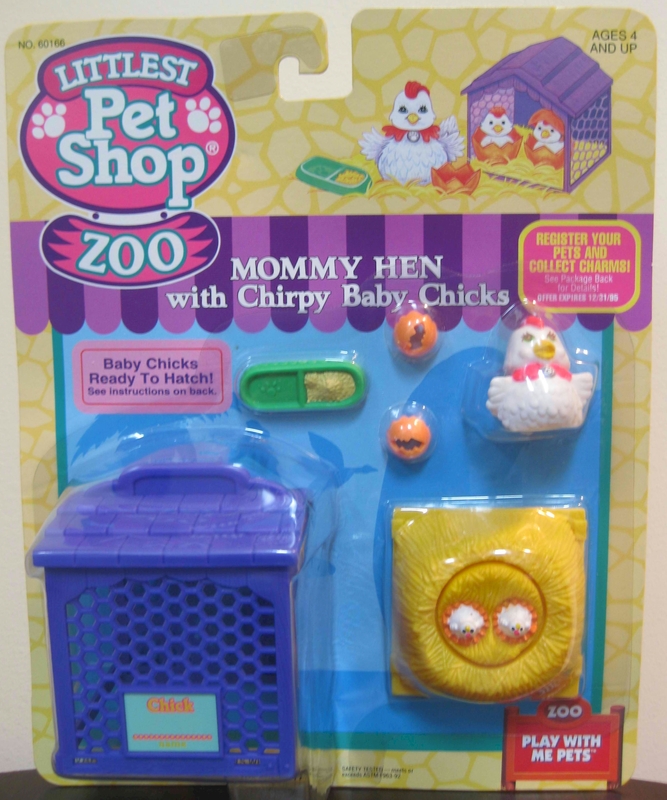 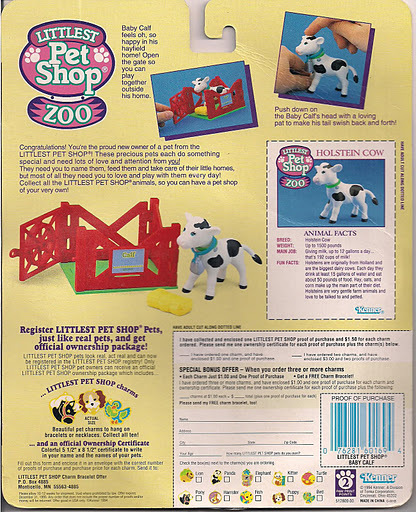 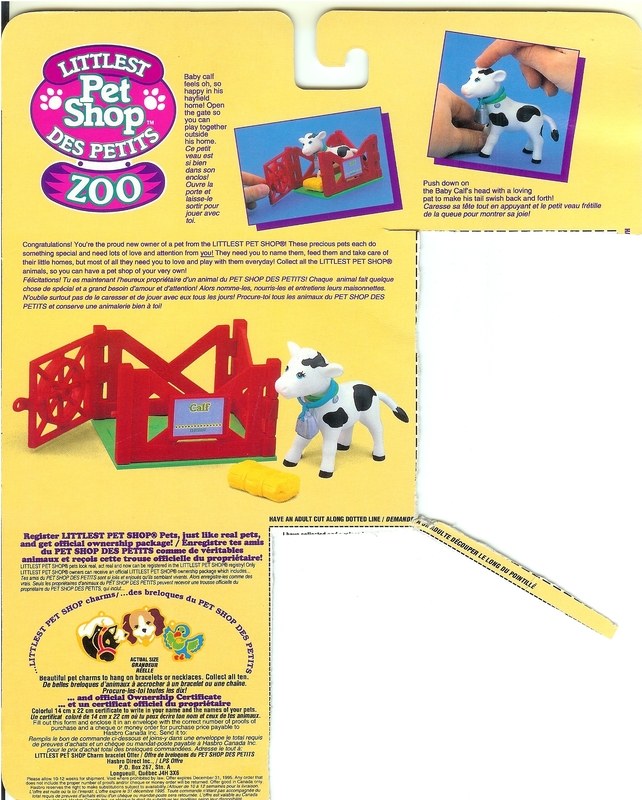 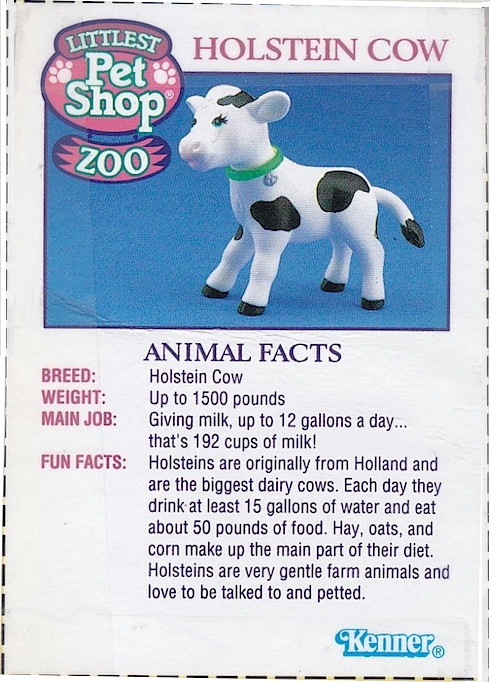 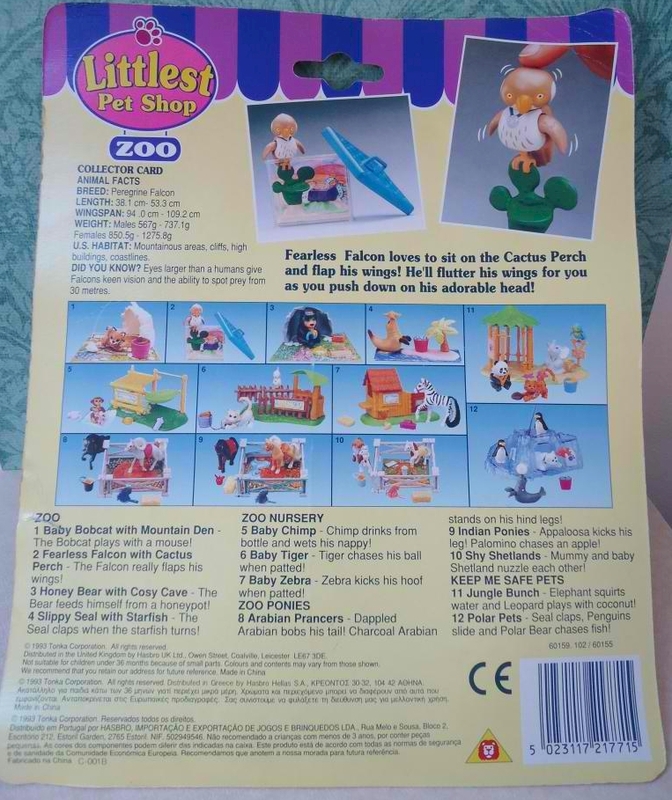 The sets in the 1993 Zoo Wilderness Pets Assortment were re-released as Zoo Play With Me Pets in 1994. 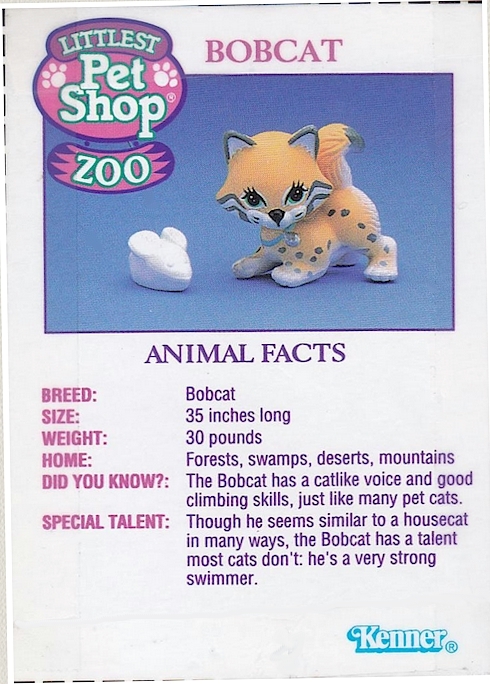 1) Bobcat color: dark brown • Cave: gray • Sign: no • Family Album: ? 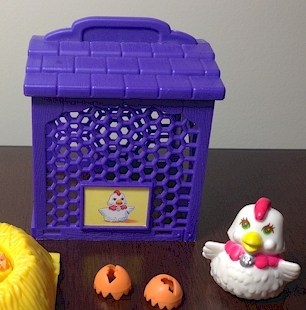 • Bonus Charm: ? 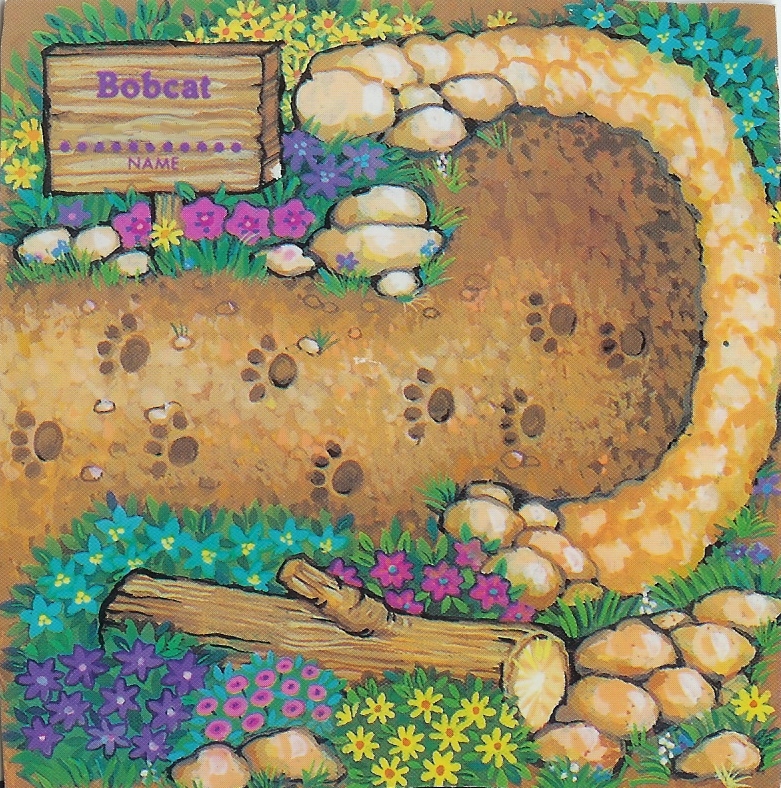 2) Bobcat color: brown w/ white belly/paws • Cave: lavender • Sign: yes • Family Album: ? 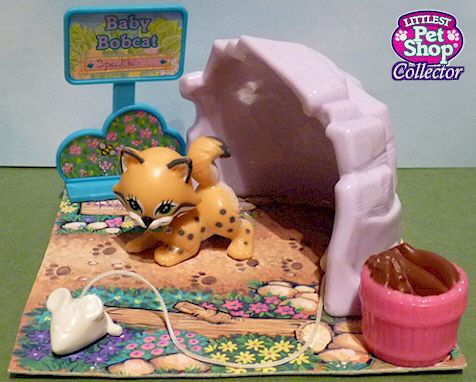 • Bonus Charm: ? 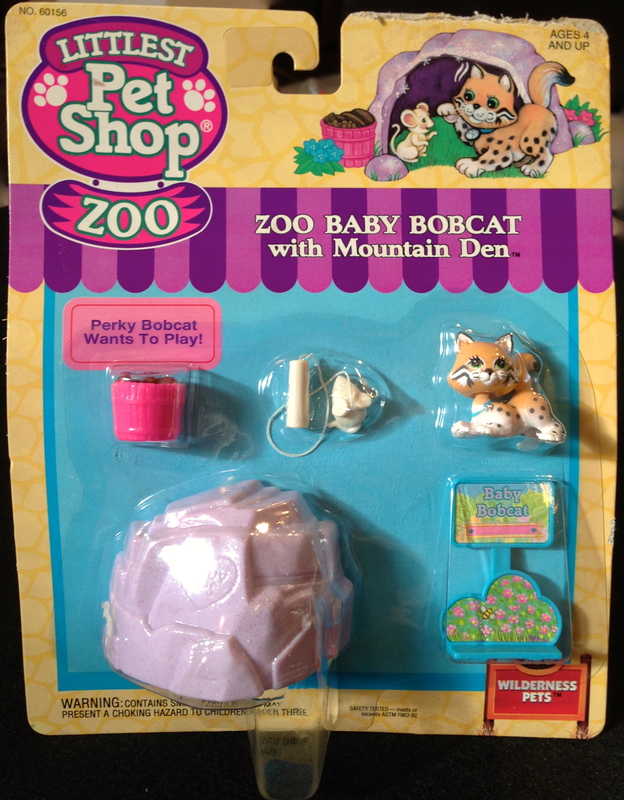 -The sign included with Variation 2 differs from the American release: it does not include the "Baby Bobcat" text. 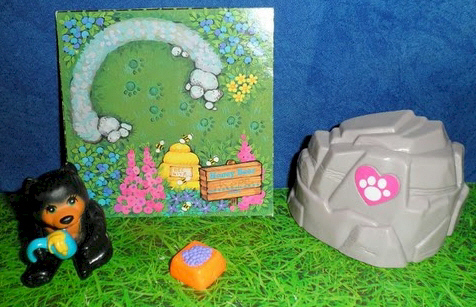 -The cave in both variations has a heart-shaped sticker with a paw print on it (unlike the American release). 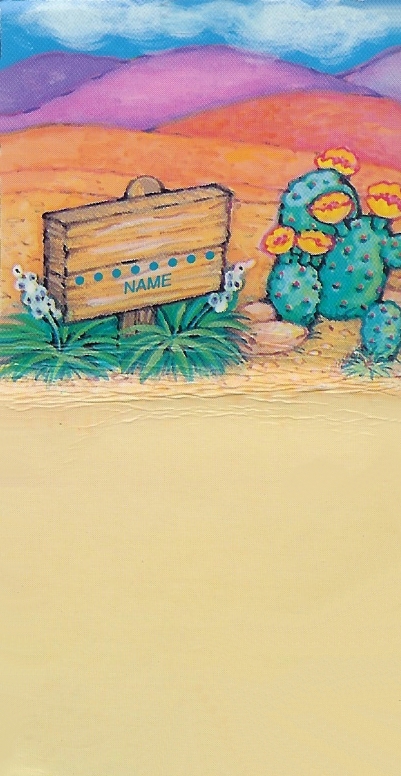 -The playmat has no text on its "sign". 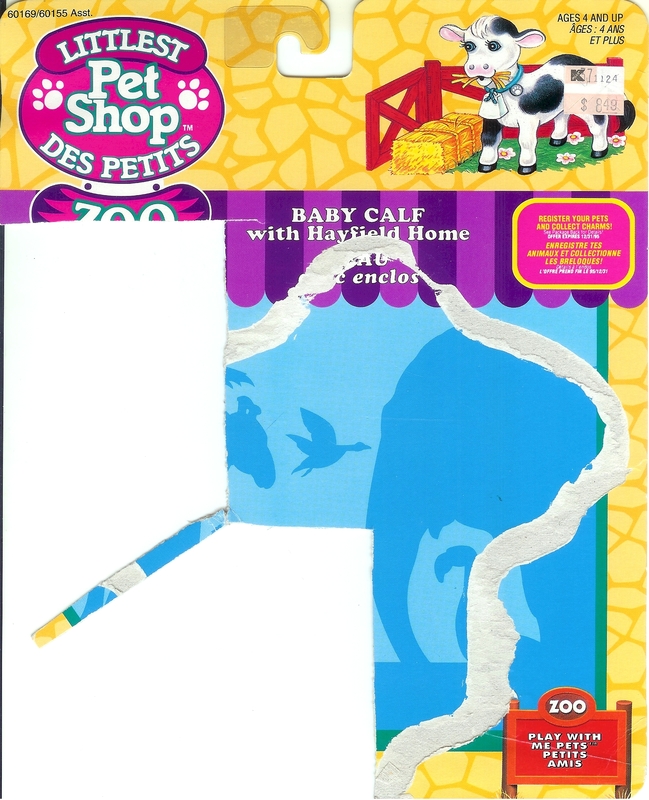 -The packaging includes a cut-out character card instead of a fact card. 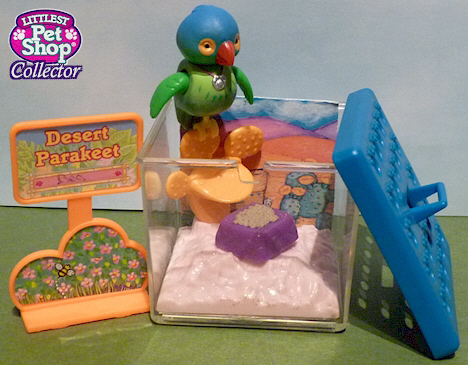 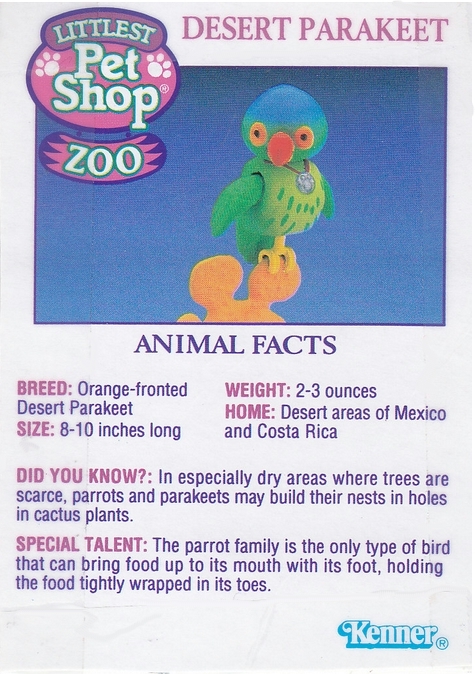 -The sign differs from the American release: it does not include the "Desert Parakeet" text. 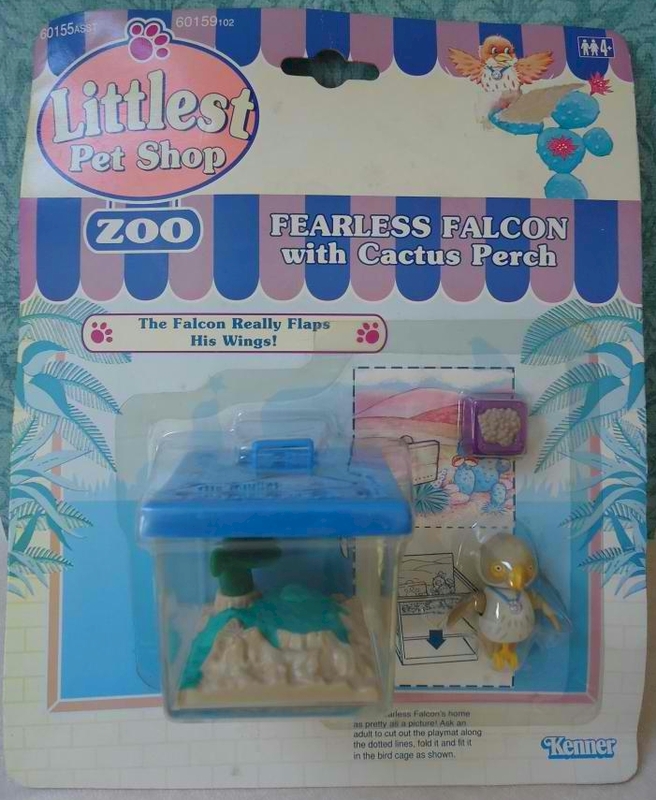 *The Fearless Falcon, even when sold in the US, was released only in UK-style packaging. 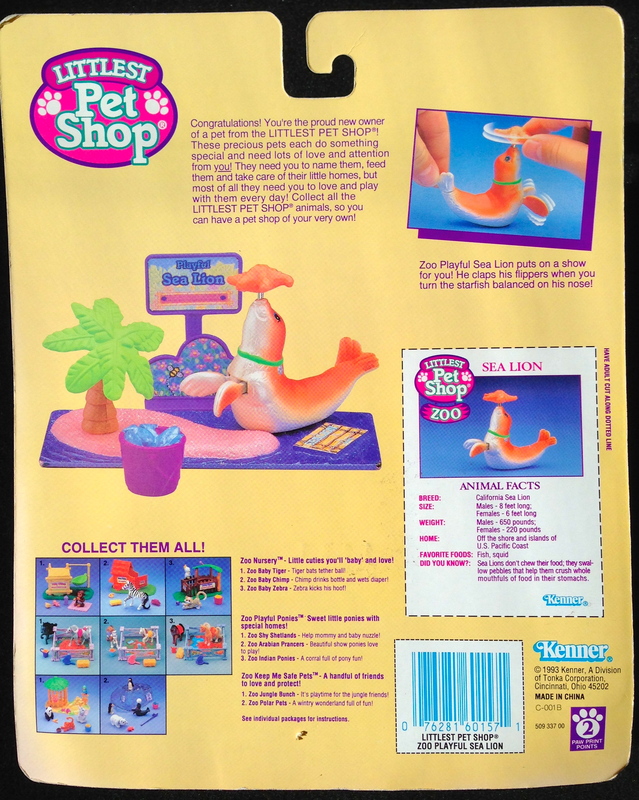 -The sticker on the ocean platform in all variants does not have text on it. 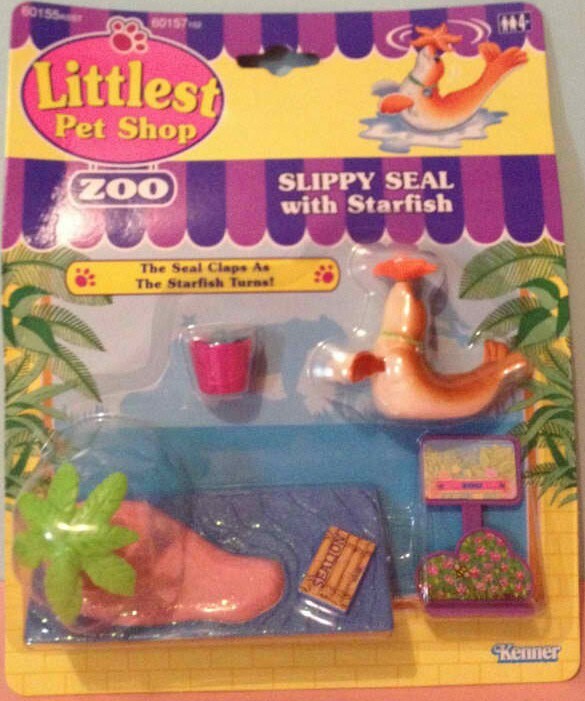 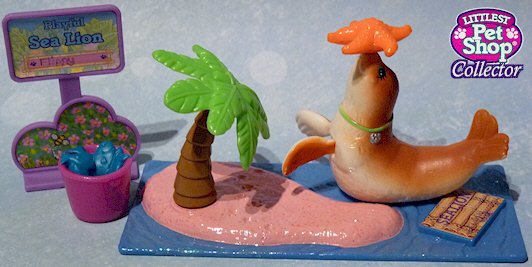 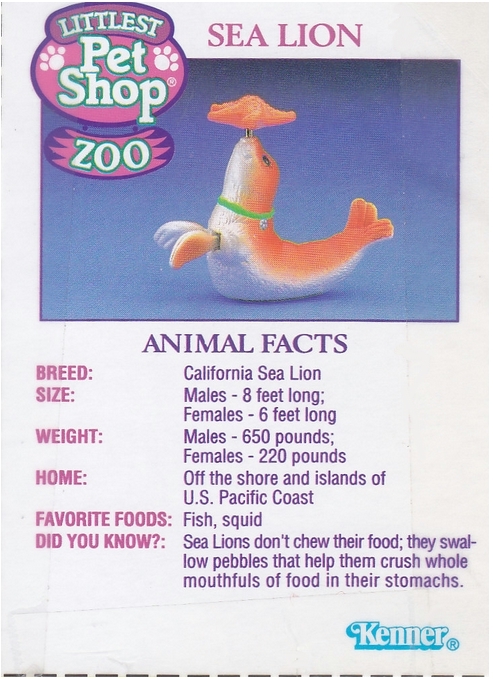 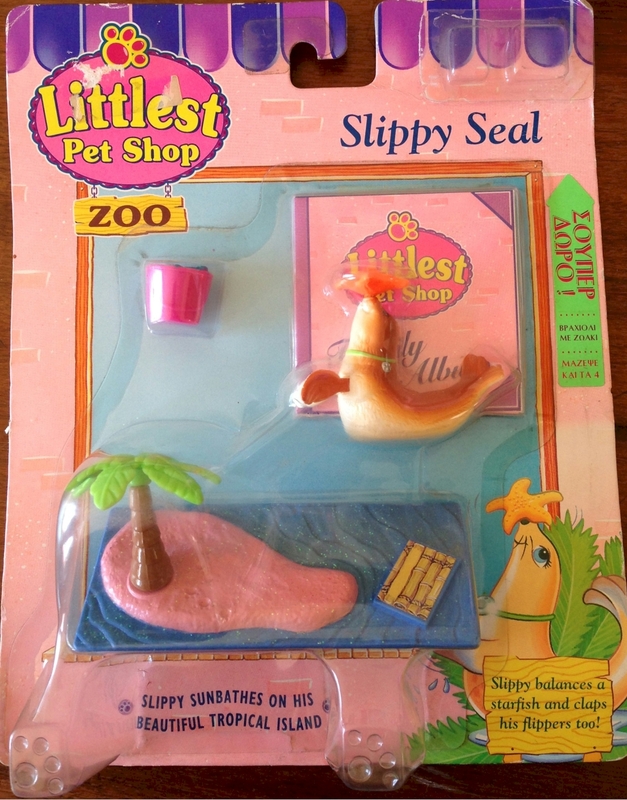 -The sign included with Variation 2 differs from the American release: it does not include the "Playful Sea Lion" text. 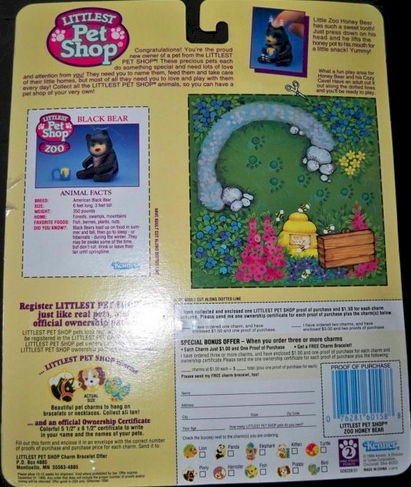 -The packaging for Variation 3 may or may not include a bonus charm; distribution seems to be random. 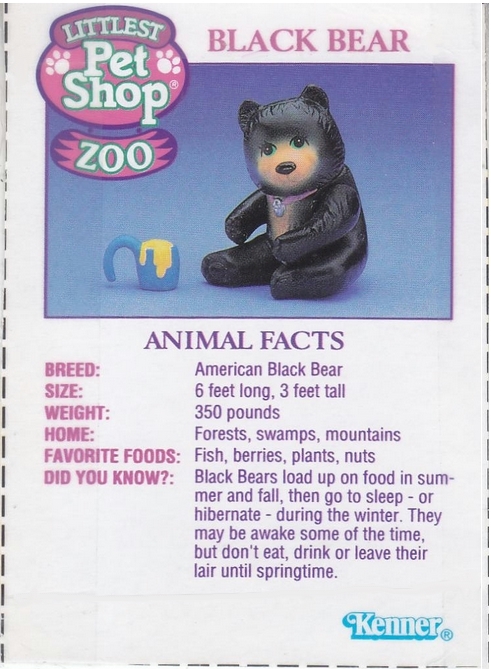 1) Cave: gray • Sign: no • Family Album: ? 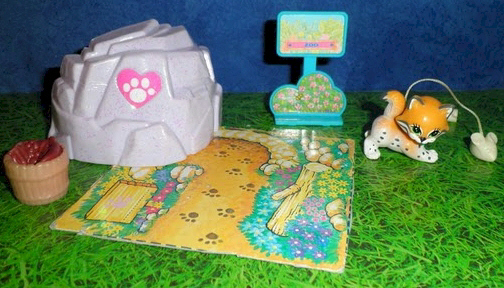 • Bonus Charm: ? 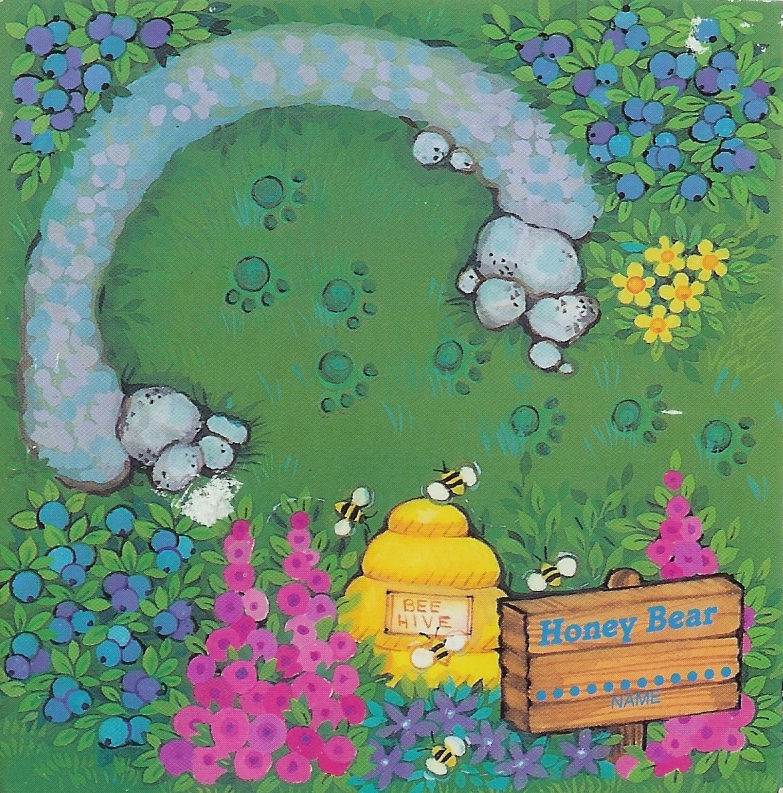 2) Cave: yellow • Sign: yes • Family Album: ? 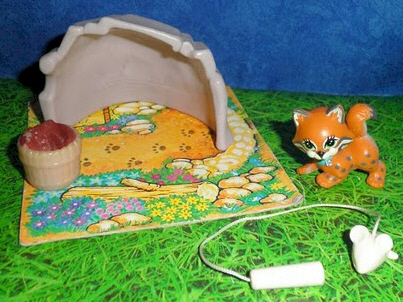 • Bonus Charm: ? 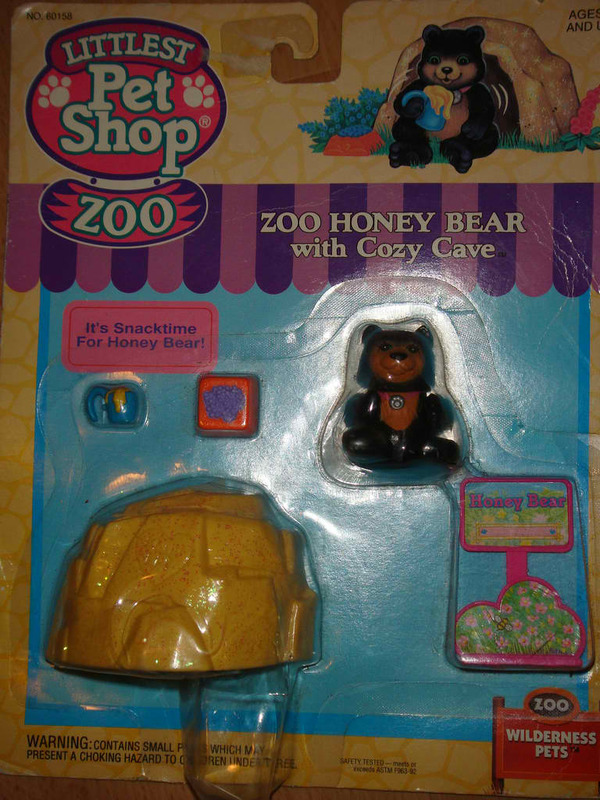 -The sign included with Variation 2 differs from the American release: it does not include the "Honey Bear" text. 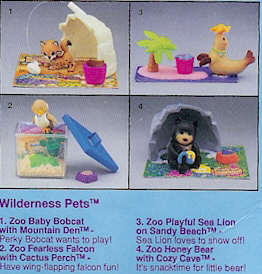 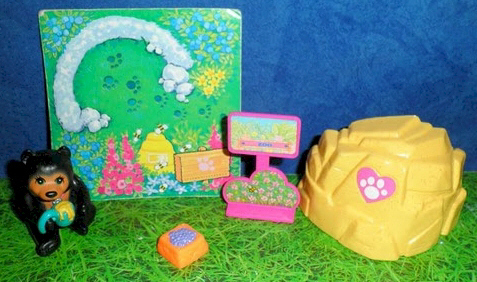 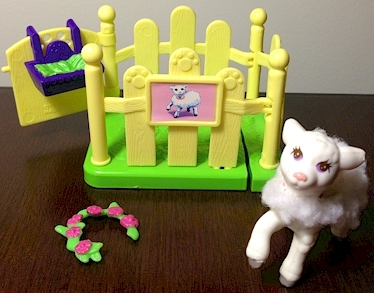 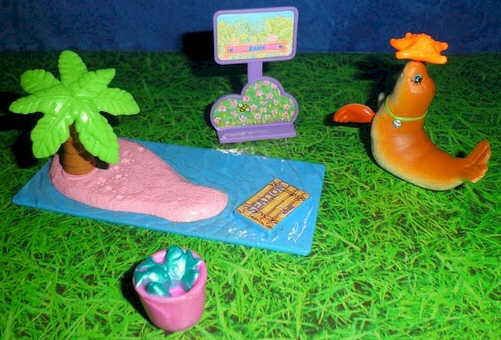 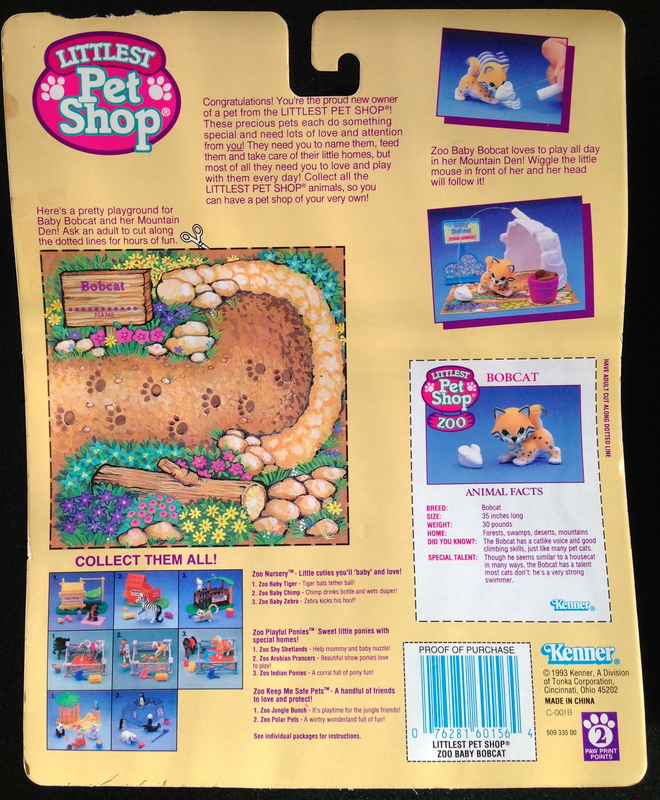 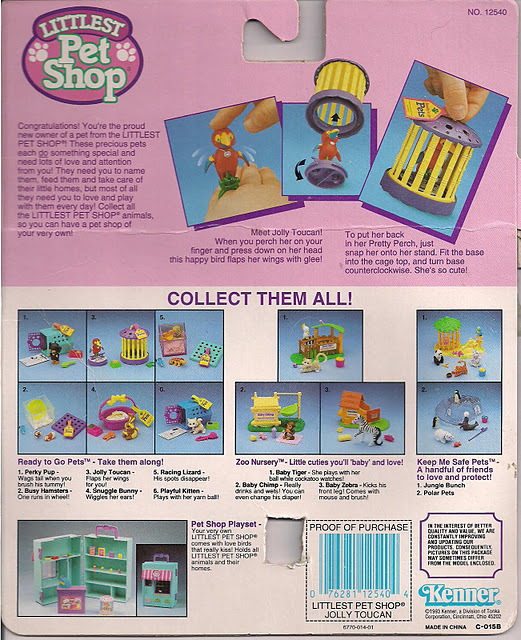 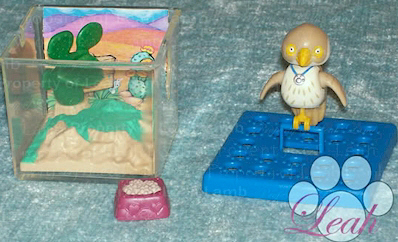 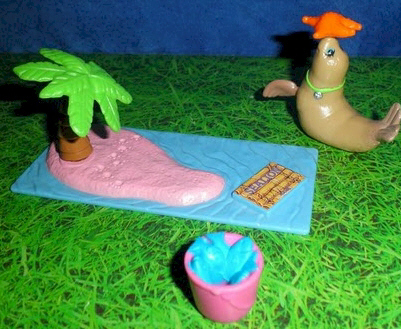 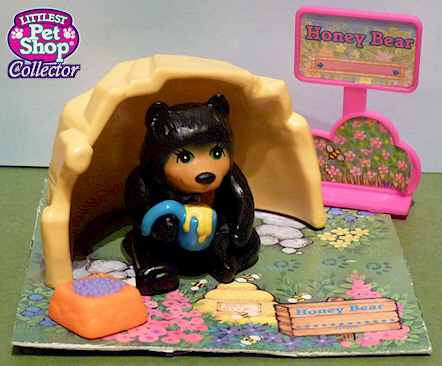 The sets in the 1993 Wilderness Pets Assortment were re-released as Play With Me Pets in 1994. 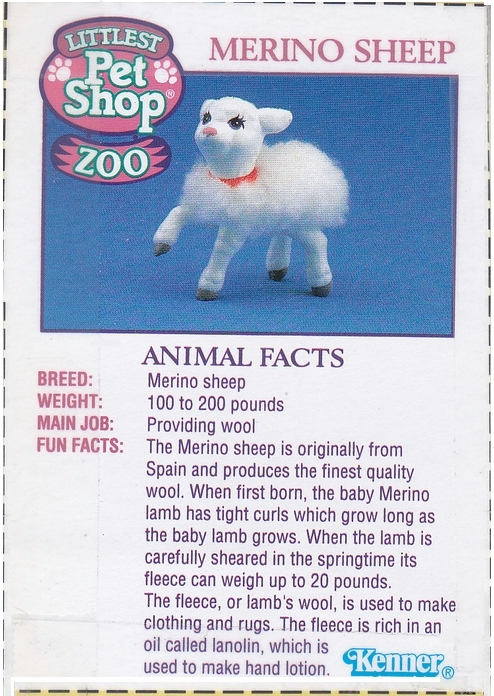 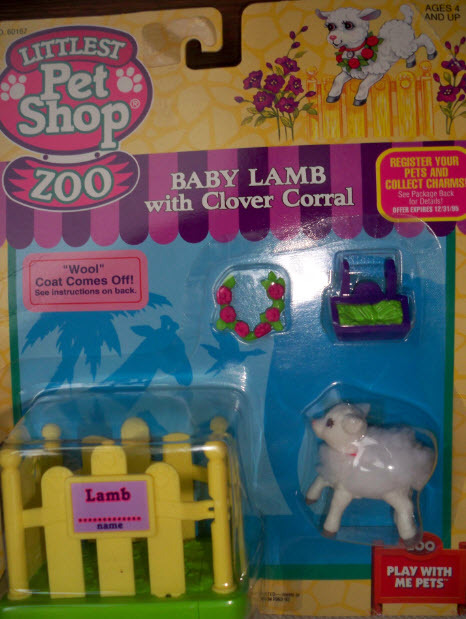 -The sign on the corral features an image of a lamb rather than text. 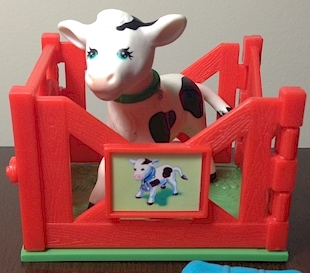 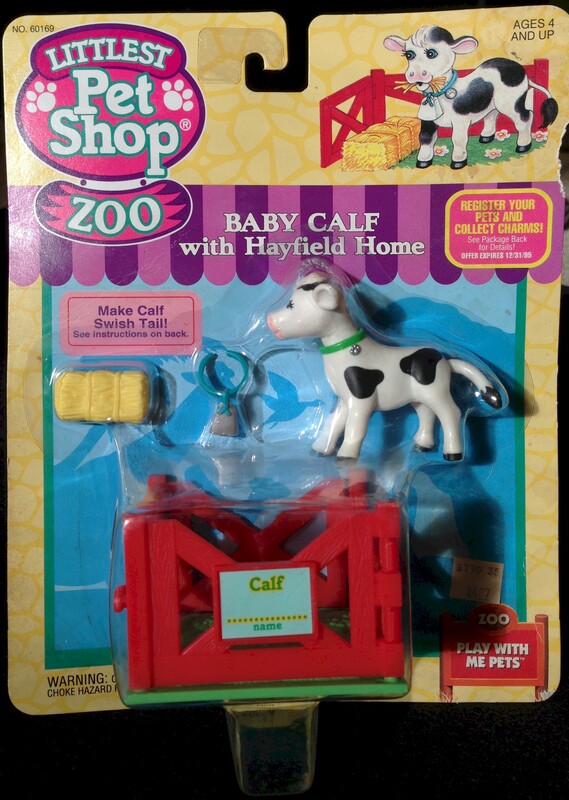 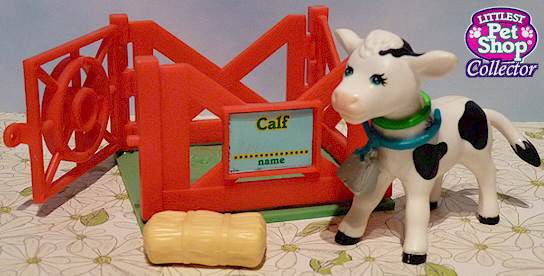 -The sign on the corral features an image of a calf rather than text. 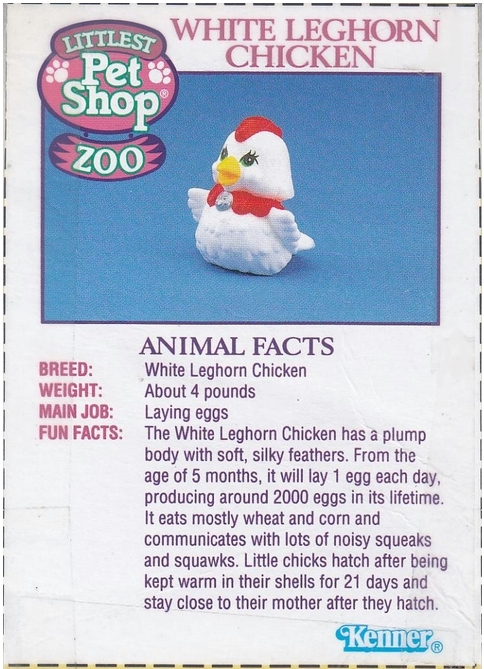 -Red collar with silver paw print Sits on eggs and the eggs "hatch"
-The sign on the corral features an image of a hen rather than text.